What is “motivation” and how does it affect our daily activity? Is motivation “central to our lives”? Dan Ariely, a professor of behavioral economics at Duke University, explores the human feeling of identification with and empathy for others, suggesting these two feelings help stimulate motivation, while their absence destroys it. This brief book (103 pages) combine stories from Dr. Ariely’s personal life and his continuing work studying our strange behaviors. It continues his earlier work: Predictably Irrational, The Upside of Irrationality, and The (Honest) Truth About Dishonesty, all of which I’ve read with fascination. At the very start, the author describes his own teenage accident in Israel, in which he sustained severe burns over some 70 percent of his body, leading to three years of hospitalization and slow and painful recovery. It was then he began to discover the idea of motivation, enlarged later when he helped a friend’s two teenage children, similarly injured. 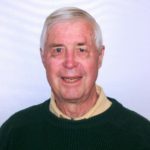 As he writes, “I also realized how many of our motivations spring from trying to conquer a sense of helplessness and reclaim even a tiny modicum of control over our lives.” Any success in such an effort becomes a “feeling of accomplishment.” This then leads to the need to “look closely at the positive side of motivation,” creating pleasure and affection for your own handiwork. But does financial reward motivate us? Ariely suggests “money matters far less than we think.” We should avoid “overemphasizing the countable dimension and beware (my italics) treating the uncountable dimension as if it were easily countable.” This skewers the old adage that if you can’t count it, it doesn’t exist! He continues: “In short, these findings suggest that when we are in the midst of a task, we focus on the inherent joy of the task, but when we think about the same task in advance, we over-focus on the extrinsic motivators, such as payment and bonuses. This is why we are not good predictors of what will motivate us and what will crush our motivation. This inability to intuit what will make us happy at work is sad.” Trust and goodwill seem to be far better inspirations than cash … Is it possible that large bonuses are actually counterproductive? As usual, brevity enhances comprehension. A short book motivates continued reading! 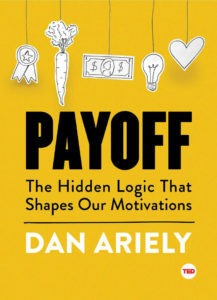 Editor’s Note: ‘Payoff ‘ by Dan Ariely is published by TED Books, New York 2016.